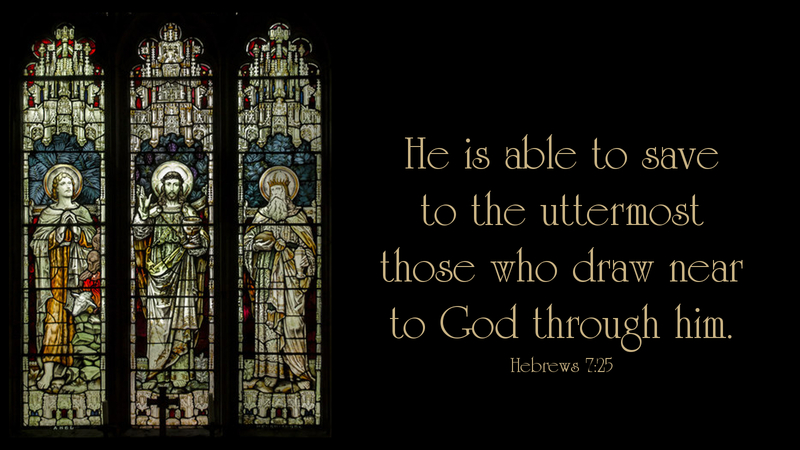 Such a high priest truly meets our need (Heb 7:26). The patriarch, Abraham, understood that our earthly existence is comparable to a journey (Gen 12:9), one that includes times of hardship and joy (Gen 12:10-20). Regardless of our circumstances, we can take comfort in knowing that, as Jesus revealed to the Samaritan woman and her peers, he is the Savior of the world (John 4:42). With the advent of the Messiah, the old covenant under which Abraham existed is replaced by a new and better one (Heb 7:22). Jesus’ sacrifice on the cross, along with his resurrection from the dead, offers us a better hope, one that gives us the assurance of drawing near to God (Heb 7:19). We need not feel anxious about doing so, either, for Jesus, our faultless High Priest (Heb 7:26), intercedes on our behalf and opens the way of access to the Father (Heb 7:25). The invitation remains for us, as God’s children, to come to him for solace and guidance, especially as we venture forth into a new day. Prayer: O Jesus, my great High Priest, give me the strength to remain faithful to you today. Amen.